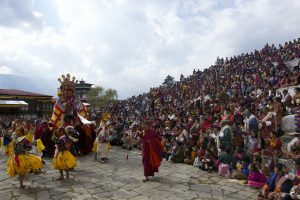 The Paro Tshechu is an annual event held every spring and is by far the most popular pageantry in Bhutan with the unfurling of the world’s biggest Thangka or Thongdrel. During the festival, mask dances to commemorate the deeds of the great saint Guru Rinpoche are performed. The dances invoke the deities of the tantric teachings – who through their powers and blessings remove misfortunes by suppressing all evil spirits. While the locals attend the colorful festival to gain merit, visitors travel from far and near to witness the spectacular display of color, age-old traditions, and tantric Buddhist rituals. 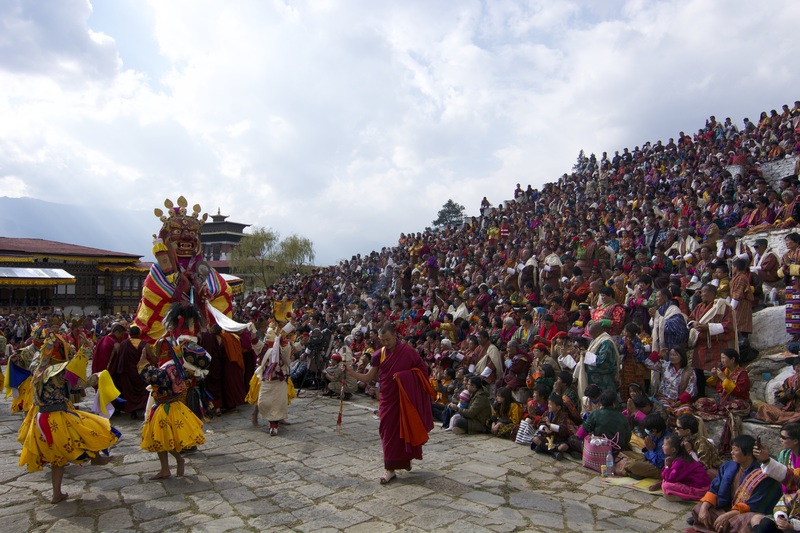 The event inside Paro Rinpung Dzong commences with monks performing the Shingje Yab Yum – the dance of the lord of death (Shingje) and his consort. This is followed by Durdag – the dance of the lords of the cremation grounds, after which, the dance of the black hats, Shanag, and the dance of the drums from Drametse (Drametse Ngacham) are performed. The festival in 2020 is scheduled to be held from the 04th to 08th of April 2020.